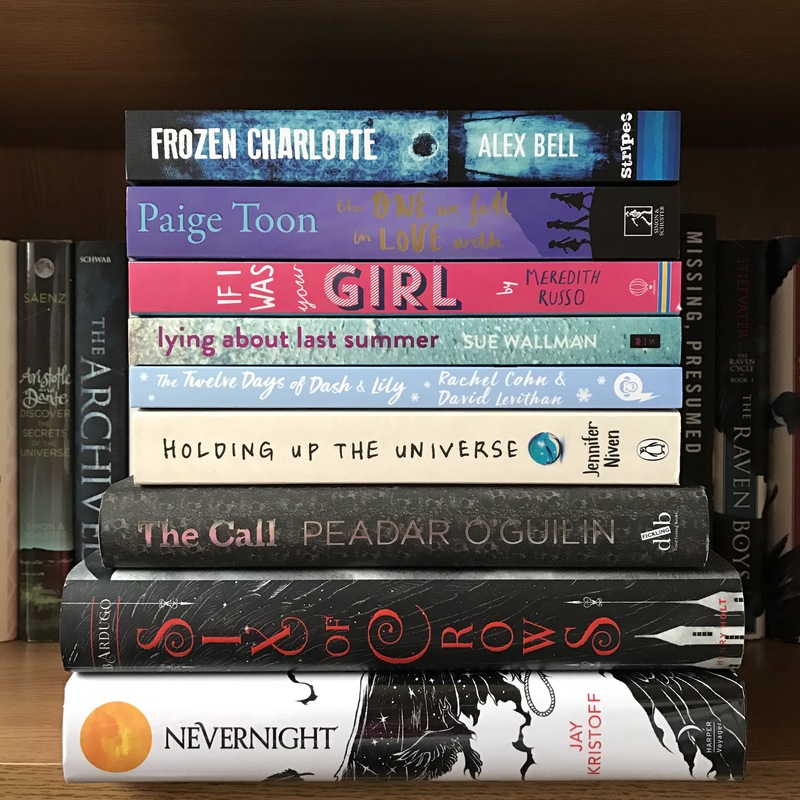 I love writing (and reading) TBR posts, and I’ve added a huge number of books to my to-be-read list in the past few months (many times more than I’ll be able to read – oh, the struggles) that I’m super excited to dive into. As one of the new Zoella book club picks (along with the following four novels on this TBR), I have to get in on the action. This is a YA contemporary featuring a transgender protagonist: yay for more LGBTQ! fiction. This novel sounds perfectly scary: it’s ouija boards, creepy dolls, the Scottish Highlands and mystery. I read and enjoyed Dash and Lily’s Book of Dares last year, so I’m obviously going to devour and love the sequel. This novel sounds really interesting, with the premise reminding me of We Were Liars by E. Lockhart: a camp for troubled teenagers, an accidental death and mysterious text messages. Starring triplet sisters, all of whom fell in love with the same guy (that can’t end well! ), this contemporary romance sounds perfect for cosy nights in front of the fire this winter. This was the booksplosion book of the month not long ago, and it was also the featured novel in one of the many YA book subscription boxes. Reviews state it to be super creepy and intense, which sounds like the perfect winter read. Whilst I’m not interested in The Grisha Trilogy one bit, there’s something about this duology that caught my attention. I hadn’t planned on reading this one until a friend and a prolific author championed it, so onto the TBR it goes. Though I’ve yet to read All The Bright Places, I know I’m going to love both of these YA novels. There’s magic and a school, and that’s all I need to know. I’m sold. The Dash and Lily book – I still have the original book waiting to be read! Need to catch up eh! I’ve read a few off here that I really enjoyed. Six of Crows, Long Way to a Small Angry Planet and Nevernight. You should definitely give Six of Crows a try! A have a friend who really really didn’t like the Grisha trilogy, but SoC ended up being one of her favorite books.